I’m linking up with ERIKA, NARCI, and ANDREA for Friday Favorites! It’s MARCH!! MY BIRTHDAY MONTH!!! I’m a HUGE birthday person! I LOVE LOVE LOVE birthdays! Love to celebrate, love the excitement, the surprises, all of it! I love to make birthdays super special for others too! Life is short - celebrate it! I wrote a post with Frequently Asked Questions that you can read HERE. I LOVE this program! I started last January and cannot say enough good things about it. Love the trainers, the workouts, and that you can eat donuts! Ha! Comment if you have any questions! If you are ready to join me, REGISTER for the FWTFL HERE. Let me know if you join the March 11th round! We can swap recipes/lunch&dinner ideas! And I’m trying to do better and share more of what I eat on Instagram. You find me HERE if you want to follow. THIS hair dryer is a FAVORITE! I had read several great reviews and decided to try it. Friends, you NEED this! Super lightweight and super easy to use. You no longer need a round brush to make your hair straight and smooth. Just take your towel dried hair, use this as your hair dryer, and done! 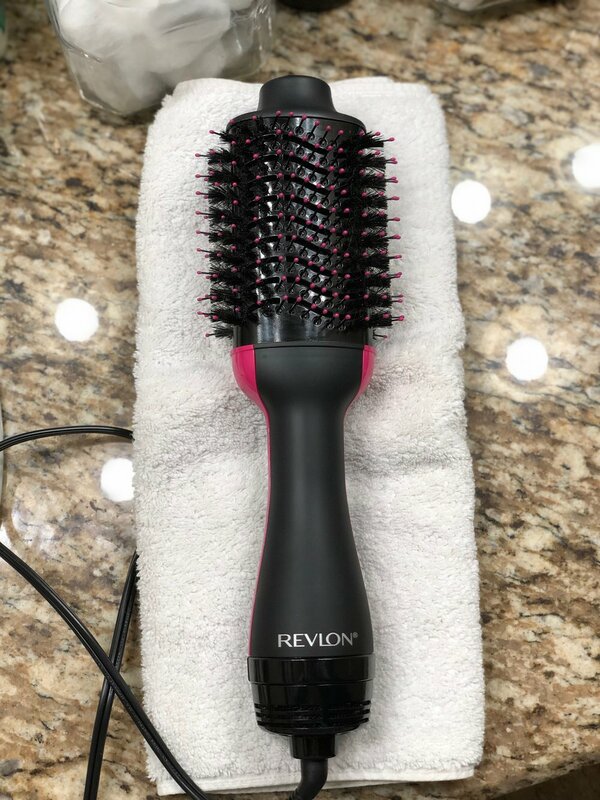 It’s all in one with this Revlon One-Step Hair Dryer & Volumizer. My hair is very fine and also natural curly. Use this and it’s like you just left the salon with a blow out! Smooth and shiny and the best part…you don’t need to use a straightener!! Blow dry and go! I have been wearing THESE tennis shoes on repeat this week! I have had them for several months and they are SO COMFORTABLE. The Adidas NMDs are extremely light weight and great quality. I have washed mine and they still look like new! They are super cute with shorts, jeans, leggings, everything! We had a massive cold front come through that made the temps drop to a high of 40 yesterday. Because of the yucky cold weather, both soccer and baseball practices were canceled. We took advantage and had a pizza and movie night with the boys! Family time is always a FAVORITE! Come back next week and I’ll have my February Book Review!! Hey there, Friday! It’s good to see ya! If you missed it, you can find my WEEKEND WRAP UP post HERE. Tuesday I asked for y’alls help with SELF TANNERS in my TUESDAY TALK post. Read the post, comments, and then share your thoughts too! As usual, I’m linking up with ERIKA, NARCI, and ANDREA for Friday Favorites! Here are a few FAVORITES from our week! 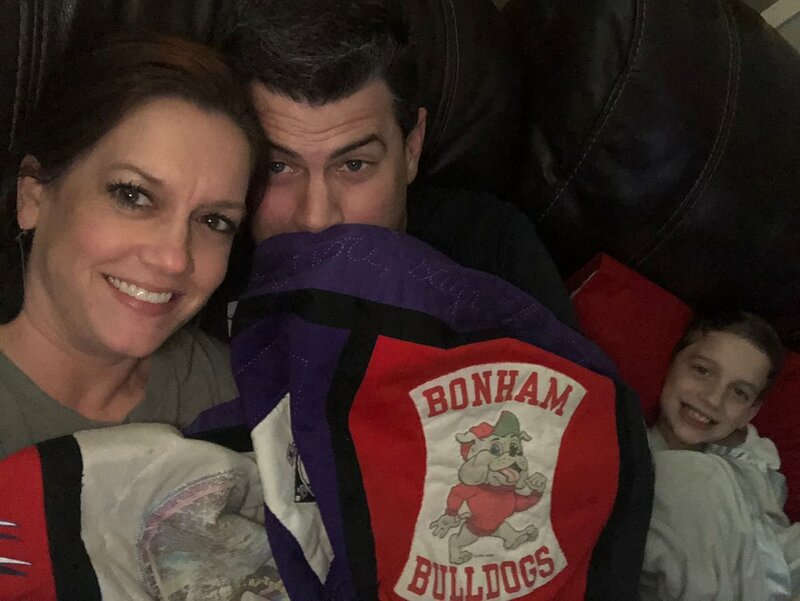 On Tuesday, we traveled to Gail, TX for Conner’s basketball playoff game. His team played hard but lost by 8 points ending their season. Such a tough loss but we are so proud of our #44! He carries himself well on and off the court and he has been blessed by friendships on this team. We are sad to see this season end but excited for next year! Watching Conner play his passion is always a FAVORITE! Speaking of basketball, Cutter finished his season on Tuesday as well and came in 1st place! Mark and I were out of town at Conner’s game so Grandad took Cutter and sent us updates. That makes Grandad a FAVORITE this week too! Thank you!! Carson played his last game Thursday night and took 2nd place! I can’t believe next year he’ll be playing in middle school. We have loved cheering on our Carson Michael! The bond between Cutter and Corban is just the sweetest! Cousins really do make the BEST friends! 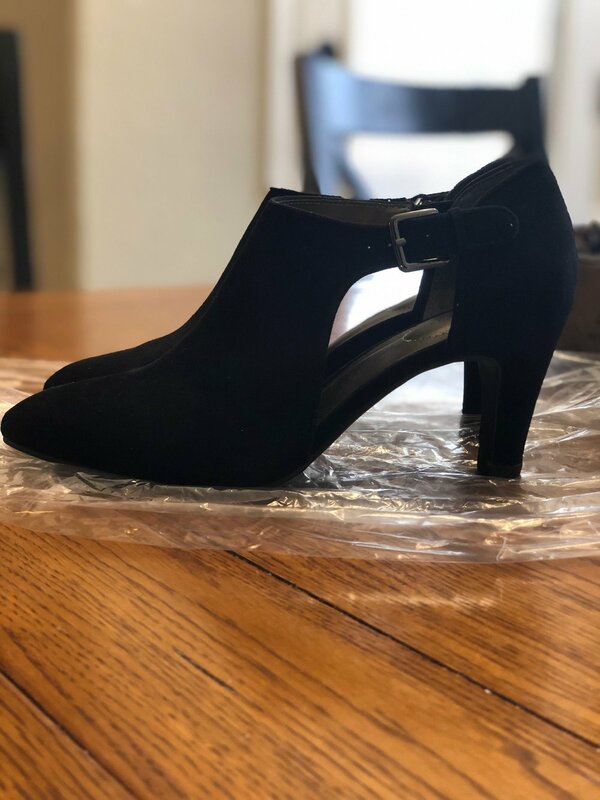 These shoes were a favorite when I bought them this Fall. I needed a good closed toed black dress shoe. However, after only wearing them a few times, the bottom of the heel broke on one of the shoes. I kept them in my closet because I didn’t have the heart to throw them away. I loved them so much. Fast forward several months and I had forgotten about them. However, Mark did not! :) For Valentine’s Day, he took them and had the heel repaired. Friends, his thoughtfulness was a FAVORITE this week! He brought them home yesterday and I still can’t believe he thought to have them fixed for me. So sweet! This polish has been a FAVORITE too! I have spring on the brain and this Blush Against The World is the perfect subtle pink! Random pictures texted from my 17-year-old is a FAVORITE always! 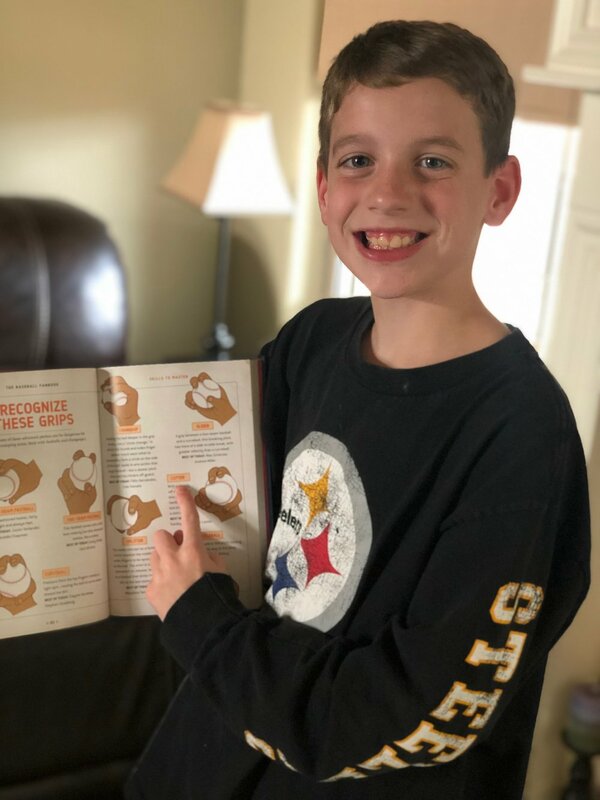 Conner and Austin - those two crack me up! Find me on Instagram HERE. Follow along on Facebook HERE. Our kids are out of school on Monday and we are all SUPER excited for an extra day off! On Monday, I posted a little bit of THIS & THAT to start off the week. I also shared my FAVORITE READS including books, series, and authors! You can find that post HERE. As always, I’m linking up with ERIKA, NARCI, and ANDREA for Friday Favorites! Conner played in his last home game of the season on Tuesday. We love cheering on our #44! They won their game and took 2nd place in District. On to the playoffs next week! Alyssa surprised her brothers and came in for the night to watch Conner’s game. Such a sweet big sister! They are always excited to see her!! His FAVORITE thing was finding his name! First name is a baseball pitch. Middle name after Greg Maddux, his Daddy’s favorite pitcher! Valentine’s Day was a FAVORITE! We started giving Carson and Cutter singing stuffed animals for Valentine’s Day when they were little. They still LOVE to see what Daddy picked out for them! 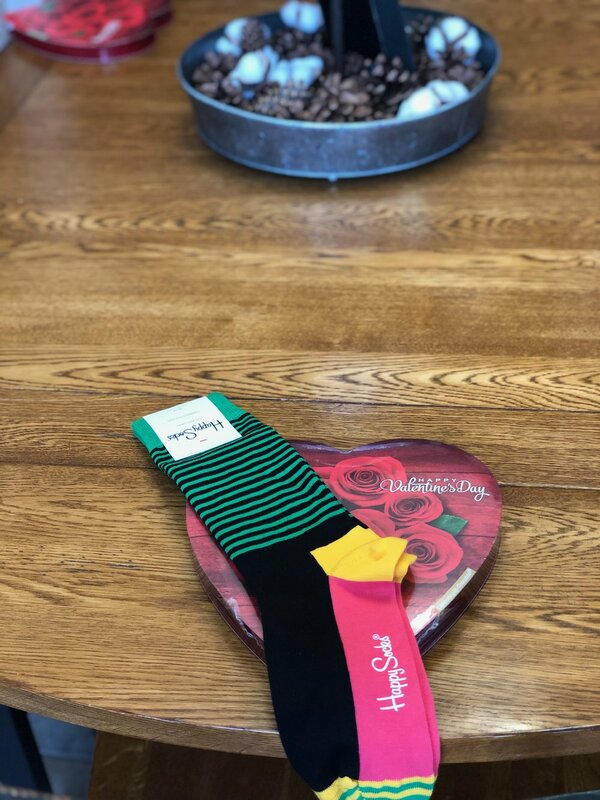 Conner had some fun happy socks with his box of chocolates along with a gift card to go eat. Exactly what a 17 year-old boy wants! Ha! And Alyssa found this cute surprise in her mailbox from Mark! A singing Valentine and Starbuck’s gift card. College girls always need coffee! My final FAVORITE this week - the gorgeous sunrises. Carson snapped this pic on the way to school. The weather has been warm (80 today!) and has us all ready for Spring. God’s creation is just breathtaking! I feel like there was a lot happening over here in blog world this week so I thought I would recap in case you missed anything! I shared my BOOK REVIEW post on Monday. It is always my FAVORITE post! You can read it HERE. My AMAZON LATELY post shared what I’ve been ordering through Amazon Prime. You can see my cute notecards, appliance cleaners, and more HERE. 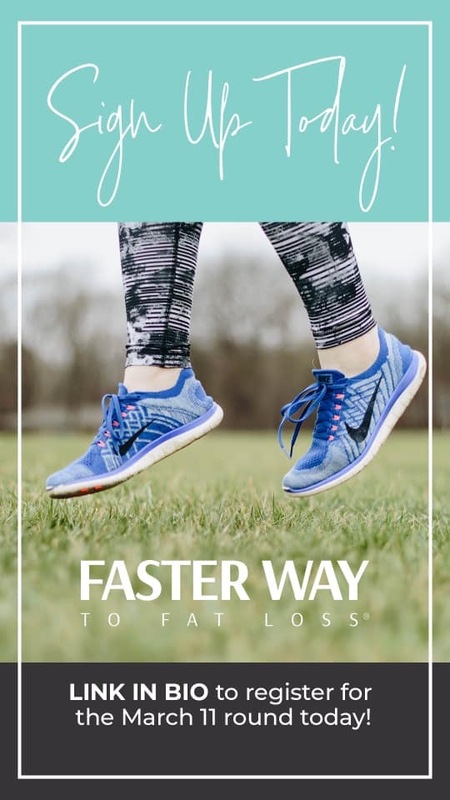 And yesterday, I shared all about the FASTER WAY TO FAT LOSS program I’ve been doing that so many of you have asked me about! See the FAQ post and my BEFORE and AFTER pics HERE. As usual, I’m linking up with ERIKA, NARCI, and ANDREA to bring you some favorites for the week! Monday afternoon, my nephew Corban rode home from school with us and stayed to play and eat dinner. Cutter and Corban are the sweetest best little friends. Seriously, two peas in a pod. 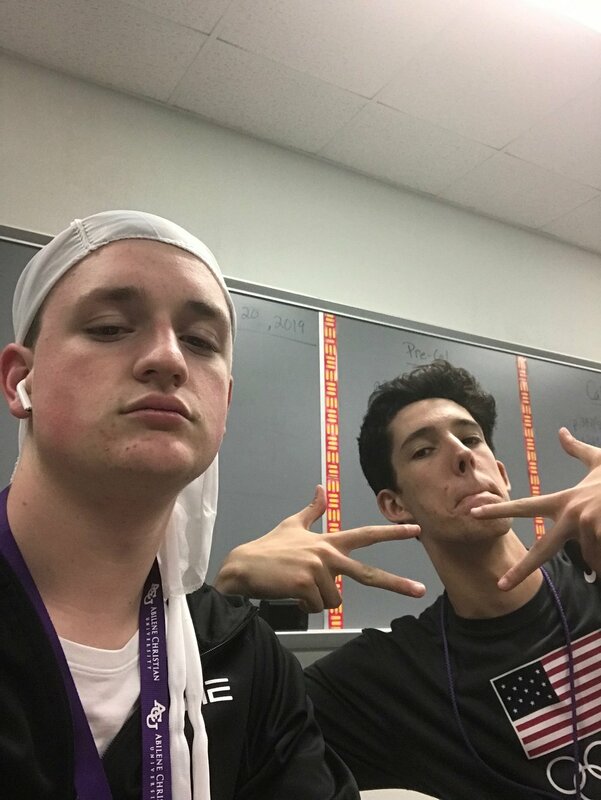 They are at the same school this year and couldn’t be happier! Seeing these cute cousins together is always a FAVORITE! I don’t know about you, but I need a lip gloss that is moisturizing. I cannot deal with dried out lips or sticky lips from gloss. This NYX Butter Gloss goes on smoothly (not sticky!) and doesn’t dry out my lips at all. BUTTER gloss…yep, it feels so good on your smackers! My favorite color is the creme brulee. I also have it in THIS lilac pink color and THIS cotton candy color. They are both great for spring! I shared my addiction with this green tea from HEB on Instagram this week and evidently you guys are obsessed too! The mango flavor is my FAVORITE however Mark really likes the citrus one. For zero calories, it’s a great drink choice when I want something other than water! And finally, if you know me, you know I am a HUGE Rachel Hollis fan! I read Girl, Wash Your Face last year and have already pre-ordered her next book Girl, Stop Apologizing. On Wednesday, they released the documentary on their Rise women’s conference called Made for More on Amazon. If you are an Amazon Prime member, you can watch for FREE! If not, you can purchase for less than $5! I started it yesterday and am about half way through. SO motivating! If you love Rachel like I do, watch it! It’s definitely a FAVORITE! See you back here Monday!